Cycling in Hanoi is a popular activity, and most trips are to go outskirt. Why don’t you try something new! You don’t want to gain weight or accumulate to much fat while traveling but you are also a food lover. Then, what should you do? Here comes the combination between Hanoi cycling and finding the most famous Hanoi old quarter restaurants. 1. Why are Hanoi cycling and Hanoi old quarter restaurants? Of course for your unique experience. As far as I’m concerned, there no travel agency can organize a tour like that for you, so if you are interested you have to do by yourself. I tried it because sometimes walking is quite tiring for me and I found that the best Hanoi old quarter restaurants aren’t located in the same area with short distance. Therefore, if I want to try more delicious food I have to go on foot too long. And that’s why I chose cycling in Hanoi to take advantage of the time in order to try all typical asian foods in the most famous Hanoi old quarter restaurants . Another reason is that if you ride a bicycle, you can burn more calories and faster than walking at the low speed. Thus, you will feel hungry and more appetite. Thirdly, why don’t keep fit while travel? Hanoi cycling might not be good enough for training, but it do burn your fat and help you look more toned. Especially, traveling tend to encourage you to eat more than usual. Moreover, you can’t resist the dishes they offer at some nice Hanoi old quarter restaurants, so try not to gain weight and accumulate fat around your belly. 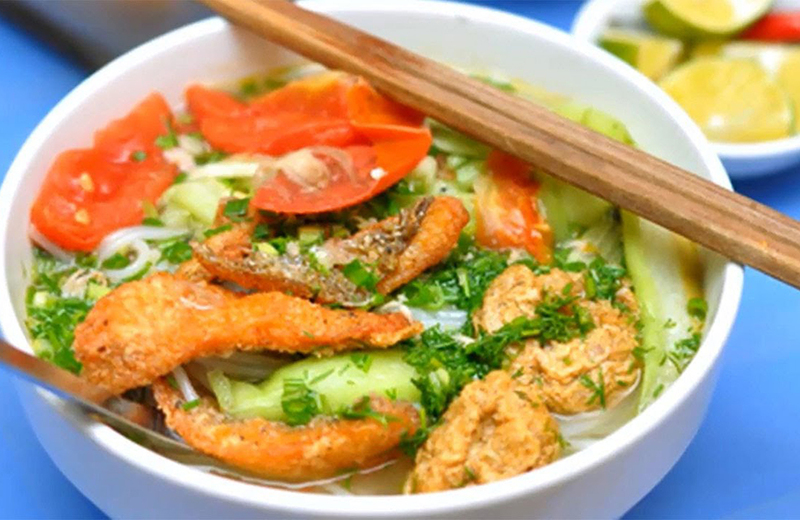 The key for you to find the best Hanoi old quarter restaurants when doing Hanoi cycling is choosing the restaurant that only serve one distinct dish. 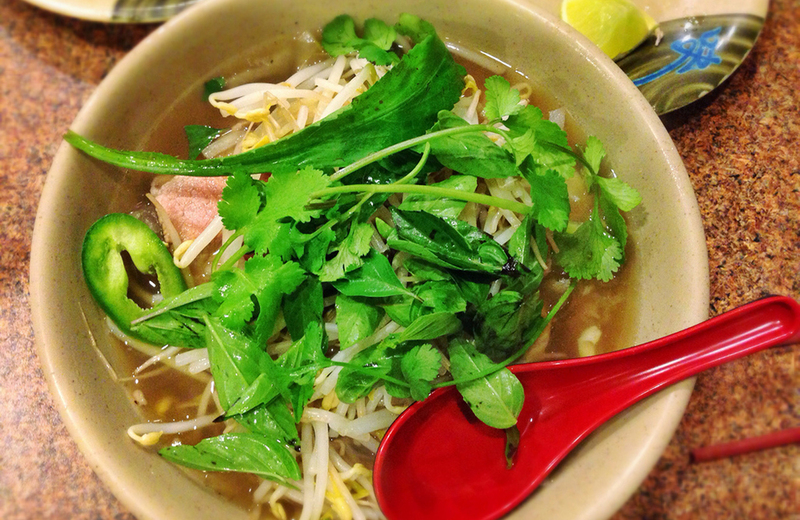 For instance, If you want to try the best Pho, find the restaurant offer this dish only. Don’t walk into a place where they show you a long menu with bunch of dishes. For this reason, I will show you some delicious dishes and the best Hanoi old quarter restaurants have them. And I’m sure you will want to enjoy all even and stop right at the restaurant even you are in Hanoi cycling tour and haven’t had intention to stop. 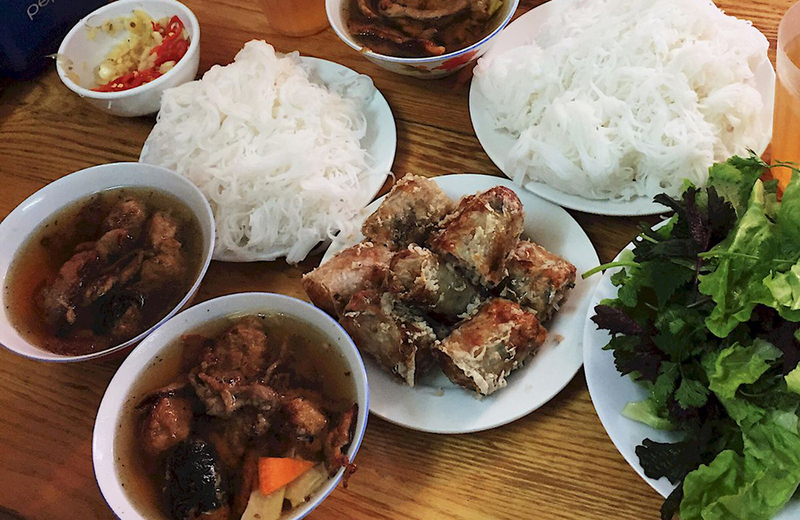 If you think Hanoi is only famous for Pho, you are totally wrong. Bun Cha is a local dish that gained it global reputation when Antony Bourdain and ex-president Barack Obama tried it on his last visit to Hanoi. This dish is the combination of grilled pork, rice vermicelli noodles with lots of fresh herbs. Among the most famous Hanoi old quarter restaurants dedicated to Bun Cha, the one at 1 Hang Manh it the best. I found this restaurant by accident. Last time when I checked my Hanoi cycling route, I came across it on my Hanoi cycling route and I decided to try there. I didn’t know this one was famous until some Vietnamese guys told me. It costs 90.000VND for a large proportion. It wasn’t cheap but at least I had a full lunch for my Hanoi cycling tour, so I think it’s fine. If you start your Hanoi cycling trip early in the morning, you should try Bun Ca. For me, this dish is like street food, so the best Hanoi old quarter restaurants for Bun Ca are right on the streets. The first time I tried this dish was near my hotel. But my local friends said if I wanted to try the best one, I should go to Bun Ca Van on Quan Thanh street. I took a look there. It is a really small and you might be confused because there are two shops next to each other. However, the one you want to go is with a wide yard behind where there is enough space for 5 or 6 tables. I haven’t had chance to try there, so if you did or will, let me know how it is. 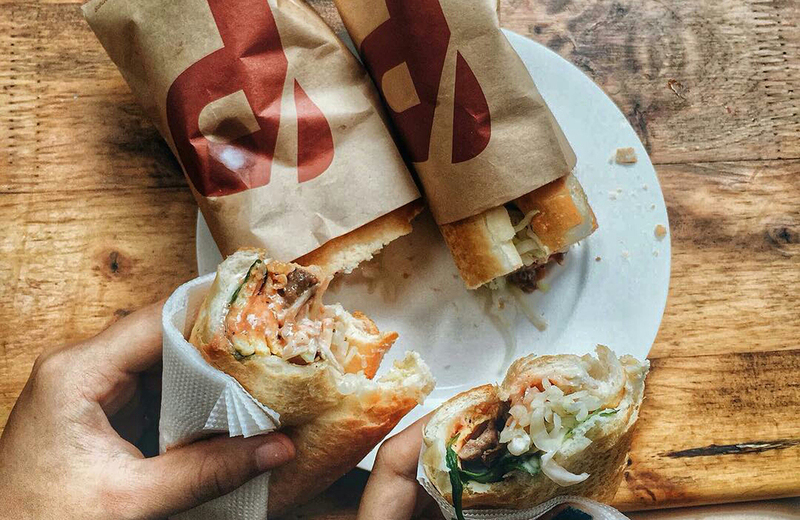 Take away a Vietnamese sandwich with you when going for Hanoi cycling. Like Bun Ca, I found Banh Mi is between street food and special dish in Hanoi old quarter restaurants. I was a little overwhelmed because of a long list of different Banh Mi. The main ingredient is bread – of course with various stuffing. I had my first Hanoi Banh Mi at 12 Hang Buom. The name of the stall is Banh My P. This was afternoon when I was on the way back to my hotel after Hanoi cycling day. I had paté with fried eggs and I realized how people are fascinated by this eatery. The bread is crispy and light served with the dreamy-soft egg and the tasting pate. Actually, I didn’t try this dish on my Hanoi cycling tour, but after that. It is indisputably one of the most iconic Vietnamese foods. I did a research on Google about what are the best Hanoi old quarter restaurants. And I found Phở 10 Ly Quoc Su, which is near my hotel. You can choose Pho Bo (beef) or Pho Ga (chicken). The thin slices of beef of chicken can be rare or cooked depending on your request. In my opinion, the broth is the soul of this dish and create the differences between Hanoi old quarter restaurants. Besides you can add lots of toppings on your bowl like herbs, lime, chili, sauce,… This dish gave me lots of energy after one day Hanoi cycling trip. 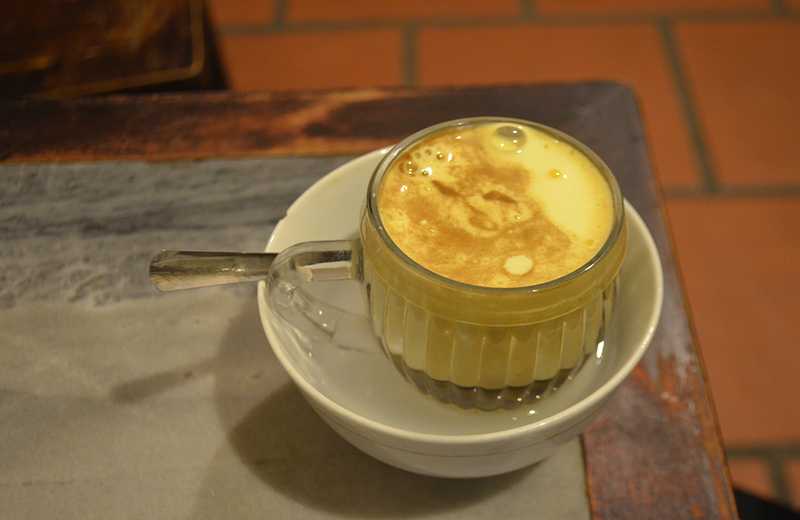 How about taking a Hanoi cycling tour, then take a break and have some egg coffee. I know it sounds not compatible in the list of Hanoi old quarter restaurants, but I really want to show you guys this one. Egg coffee is a cross between Irish coffee without booze and melted marshmallow. It’s a mixture of condensed milk, coffee and egg yolk. The one that I came last time is the small coffee shop on Nguyen Huu Huan street. They have secret recipe that on one can’t copy, but only here you can get the original taste. Such a nice drink after Hanoi cycling! Another drink not related to Hanoi old quarter restaurants, but I highly recommend you to get some local beers on the streets rather than in restaurants. It’s the cheapest beer and the most refreshing that I’ve tried. And I would say that it helps me a lots to cool off after my Hanoi cycling tour in the heat of the city. You can easily find places for this drink anywhere in Hanoi old quarter. You just have to pay about 0.43$ per glass. 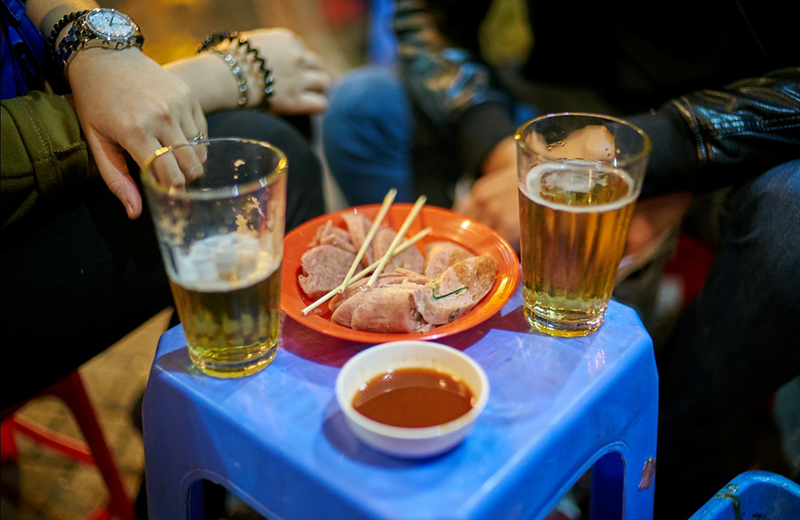 You won’t get drunk easily because it doesn’t contain much alcohol like other bottled beers.However, only enjoy it after you finish your Hanoi cycling trip. If you have various Hanoi old quarter restaurants want to come, mark them on your map to plan the most appropriate route for your Hanoi cycling. If you have too much and some are out of you route, just skip it. You can go back after finishing your Hanoi cycling journey. Be careful with the traffic. I guess come of you guys know that Vietnamese traffic is horrible. But don’t let it stop you from this interesting tour. Stay away from the main road and rush hours to avoid congestion. Wear helmet. It’s essential, though I found out no Vietnamese wear helmet while riding a bicycle. But it can keep you safe in some situations can happen on your Hanoi cycling tour. It also can replace your hat to protect your head from the sun. Choose right clothes. Wear shorts and t-shirt because they are the most comfortable and convenient outlet for Hanoi cycling. Don’t try to wear something with lots of details. It can make you look like a mess. Sun cream is your best friend. Even you don’t go out for Hanoi cycling, you still need to apply sun cream. The sunlight in Hanoi can fry an egg, so you need sun cream to protect your skin from harmful rays. That’s all my own experiences about Hanoi cycling tour. I wanted to find something more special so I combined cycling in Hanoi with a tour to the best Hanoi old quarter restaurants. Hope you enjoy it and try it one day!